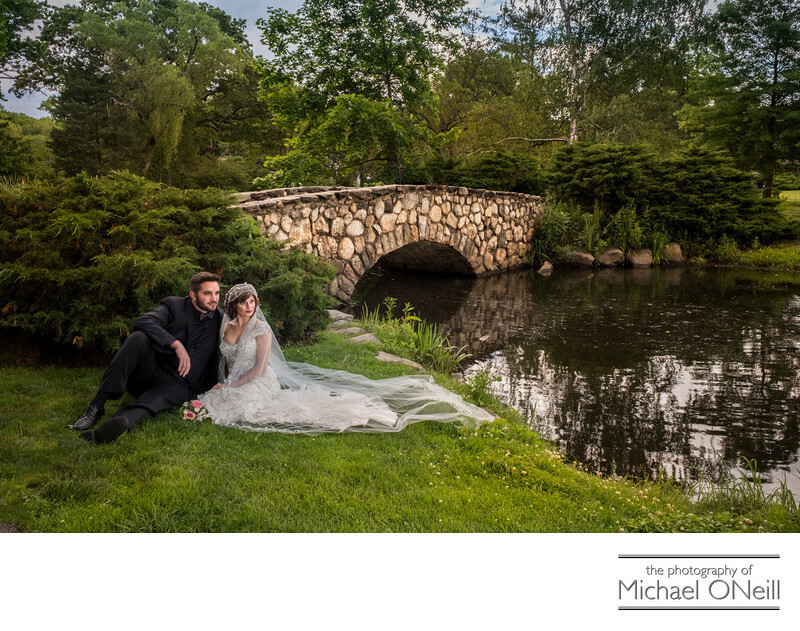 Here is another stunning bridal portrait captured at Binney Park in Greenwich, CT. Even though my studio is located on Long Island, New York in the town of East Northport, I find myself photographing weddings almost anywhere in the New York Metropolitan and Tri-State area. If you are having a wedding on Long Island, in New York City or in New Jersey or Connecticut give me a call. I would love to work with you by creating the timeless photographic memories you will take away from your special day. This picture was actually created after the bride and groom’s real wedding date. This is what we call a second day shoot where we can leisurely create amazing images without the time and location restrictions of the wedding day. Many of my couples do this type of session these days. Often they wish to return to a spot that is special to them…perhaps where they got engaged…a spot that is too far away from where the actual wedding takes place. Sometimes the logistics and itinerary of the wedding day just don’t allow for a stress free formal photo session. Sadly, I am also called upon to do these sessions by couples who were not satisfied with the photographs that their actual wedding photographer took. I love doing these second day shoots. It gives us all the time in the world to scout out and exploit various beautiful locations, at a leisurely pace. It also has the advantage of being scheduled on the perfect date weather wise. There are no worries such as most bride’s fear of having rain or other inclement weather on the big day. Want to do an amazing second day shoot? Give me a call.